Provide comfort for the family of Billy Coley with a meaningful gesture of sympathy. 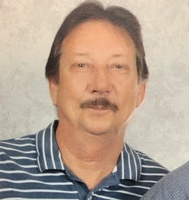 Mr. Billy Edward Coley, age 66, passed away Tuesday April 9, 2019 at Hospice Ministries in Ridgeland, MS. Visitation will be held Thursday, April 11, 2019 from 12:30PM until 1:50PM at Wolf Funeral Services in Morton, MS. Services will follow at 2:00PM at Wolf Funeral Services Chapel in Morton, MS. Burial will follow at Morton Memorial Gardens in Morton, MS. Officiating will be Bro. Bill Prestage. There will be no graveside services. Wolf Funeral Services in Morton, MS is in charge of the arrangements. Mr. Coley was a lifelong resident of Morton, MS. He was a Baptist by Faith at Lifespring M.B. Church in Morton, MS. He was an avid outdoorsman who loved to fish and ride motorcycles. He is preceded in death by his parents, Lorenzo and Quennie Coley; his son, David Wayne Coley; his brother, Wayne Coley; he is survived by three children, his son, Billy John Coley of Morton, MS; two daughters, Crystal Allen (Michael) of Forest, MS; Lisa Coley (Bubba) of Morton, MS; two sisters, Lena Goss (Jeffery) of Morton, MS; Jean Wood (Aaron) of Morton, MS; his brother, Jimmy Coley (Ladonna) of Morton, MS; eleven grandchildren; nineteen great-grandchildren; A number of nieces, nephews, and other relatives. Pallbearers will be Bubba Graham, Peyton Allen, Evan Allen, Nathan Landrum, Tristan Allen, and Jeffery Mahon. To send flowers in memory of Billy Coley , please visit our Heartfelt Sympathies Store. We encourage you to share your most beloved memories of Billy Coley here, so that the family and other loved ones can always see it. You can upload cherished photographs, or share your favorite stories, and can even comment on those shared by others.